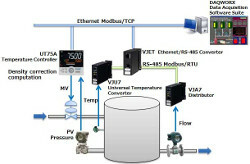 The VJET Ethenet/RS-485 converter is a compact, plug-in type communication converter that uses the Modbus/TCP protocol for connecting to host devices with Ethernet capability, and uses the Modbus/RTU protocol for connecting to devices with the with RS-485 communication function. 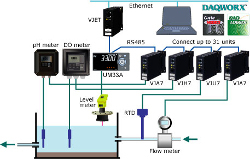 Using VJET in combination with signal conditioners supporting multiple input types, you can quickly create a wire-saving, low-cost monitoring system that can monitor signals from multiple production facilities distributed over a wide field. 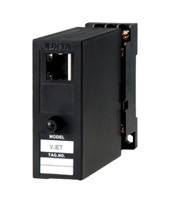 In addition, the VJCE-01A mounting base for communication is available as an accessory for the VJ series of compact plug-in signal conditioners.